Our standard #8 (1/2") Chicago Screws have a Gun Metal finish for the finest finished head look and durability available. 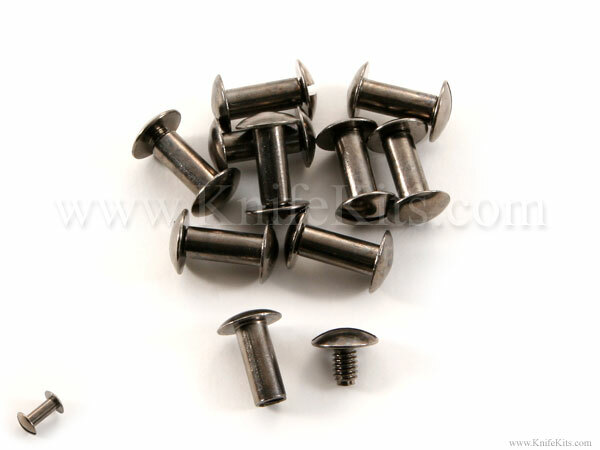 These are very popular and are used to mount belt loops, clips fasteners and sheath attachments. They fit nicely through a standard #8 and #9 sheath making rivet/eyelet.